One of the greatest pleasures of the Rare & Early Newspapers collectible is finding unexpected hidden gems as we peruse our issues. I use the word “unexpected” because, unlike searching for treasure, many of the most noteworthy discoveries are those found “along the way” – not items for which we were hunting. 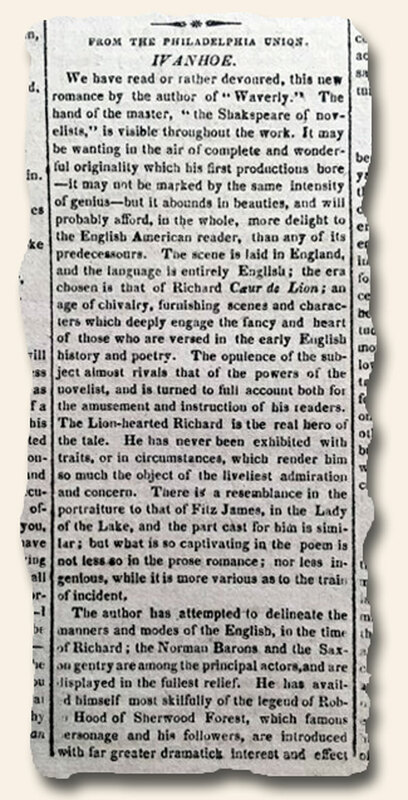 Such is the case with our most recent find: One of the first-ever reviews of Ivanhoe, by Sir Walter Scott. The front page of the Rhode-Island American dated March 3, 1820 has a review which gives a glimpse into how this 1820’s classic was received during its first year of publication. We recently came across a Niles’ Register for December 4, 1824 which contains back-to-back articles which clearly convey the complexity of the relationship between the “new” Americans (settlers) and the American Indians. Honor, respect, fear, dignity, sadness, affection, death – emotional and physical tension abound within a few short paragraphs. While we often look back from a distance and try to paint the past with monochrome strokes, the snapshot below confirms the truth that history is never more fascinating (and colorful) than when it’s read from the day it was first reported. Please enjoy. Today I traveled through Boston, Massachusetts, by the way of The Yankee (March 4, 1814). 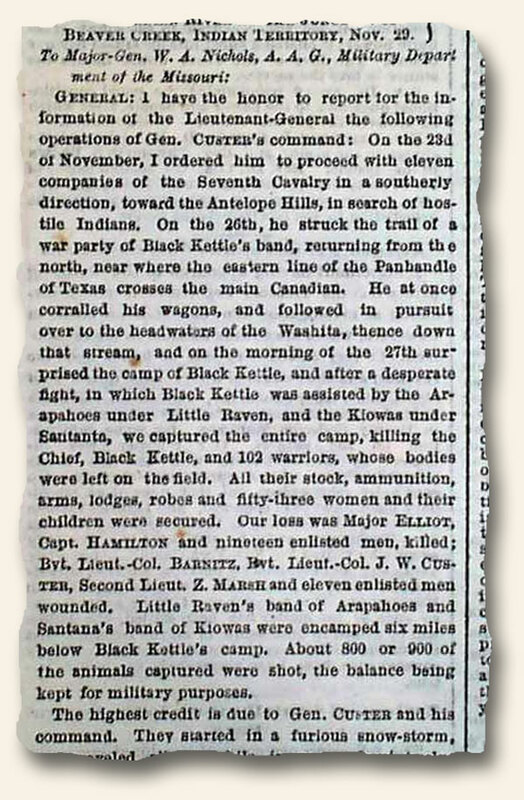 There I found a lengthy report on the Indian battle taking place, known as the Battles of Emuckfaw and Enotachopo Creek. The battles were under the leadership of Maj. Gen. Andrew Jackson, General Coffee and Captain Hamilton. This battle included “friendly Indians” fighting against the Creek Indians. This report was submitted by Andrew Jackson. “A Tale of Horror” report from Rutland, Vermont, was of a merchant, Joseph Green, who suddenly went missing. The town people thought he may have gone out of town, but when he did re-appear, they investigated his business and found his mangled remains behind a large woodpile under the stairs. 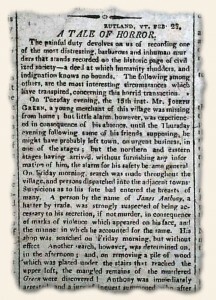 “A person by the name of James Anthony, a hatter by trade, was strongly suspected of being accessory to his secretion, if not murder, in consequence of marks of violence which appeared on his face, and the manner in which he accounted for the same.” He was found guilty and commitment to prison until the sitting of the supreme court in the town the following Monday.